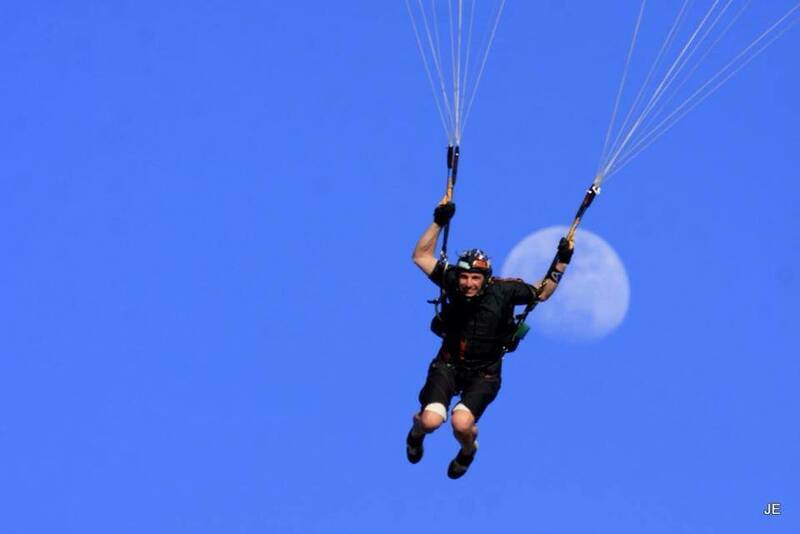 When did you come to Skydive Algarve? 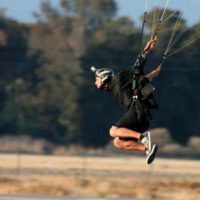 How and when did you get into skydiving? 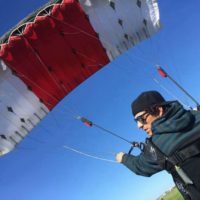 I started as a skydiver in 1999 whilst I was in the army, in the Troop’s Parachute School. In 2004 I took the civil skydiving course, starting my professional activity in this area only four months later. My evolution has been fast and continuous. I started out working in the sport by packing parachutes. The next step was the job of camera flyer, shooting and filming the tandem jumps. A few months later I decided to take the Tandem Instructor license. 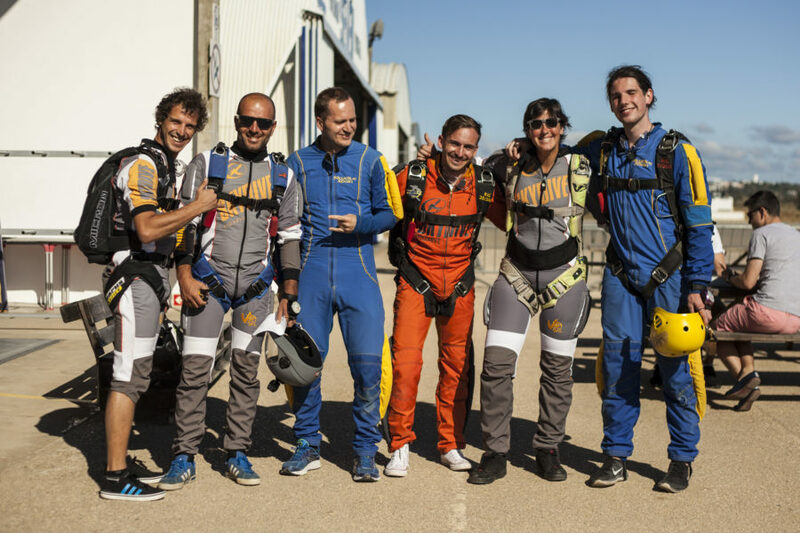 The next step was the AFF course (Accelerated Freefall), which allowed me to teach new skydivers.In recent years I have become a recognised Canopy Coach and run regular courses at Skydive Algarve as well as giving 1-on-1 canopy coaching tuition. What’s a typical day like at SA for you? My days at Skydive Algarve are quite varied since I wear many hats in my roles here- one day I can be instructing AFF either on the ground or in the air, the next day I can be jumping with or filming Tandem skydives, the next day I can be Canopy Coaching and the next day I could be taking on the role of Safety officer. It’s great to have this variety and I can certainly say that my job never gets boring for this reason! I now have more than 8500 jumps in total. 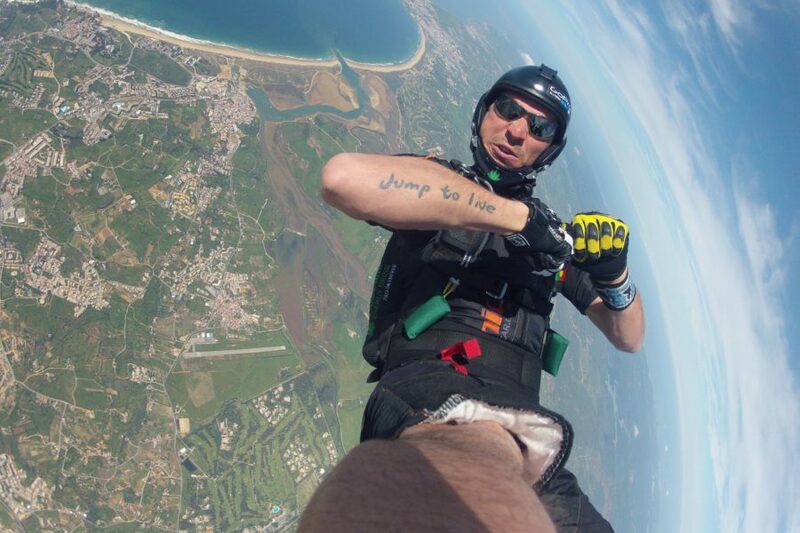 What’s one of your most memorable skydives? 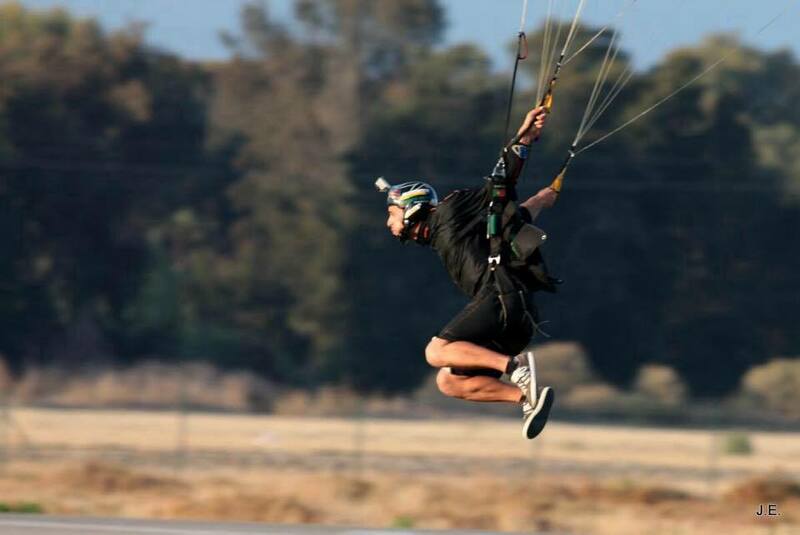 The MOST memorable skydive for me, by far, was a tandem skydive with my son, Antonio. To share this incredible experience with my most loved one was such a unique opportunity that I will hold dear to me for the rest of my life. As well as this memorable jump with my son, I’ve had the privilege to jump with many Portuguese public figures. I’ve done some shoots for TV networks such as SIC, TVI, RTP, MTV, Extreme Channel and for a Canadian network. My image also appeared on the cover of the Portuguese Smartbox, on the Off Limits pack. I developed a project with the famous DJ “Pete Tha Zouk”, for an awesome arrival at a famous Sunset Party at NoSolo Água, in Vilamoura. It consisted of a tandem jump, from a helicopter, onto the beach where the club is located, with more than 10.000 people attending- this was certainly a “wow” moment in my career that I’ll never forget. What do you like about being an instructor? What I love about being an instructor is teaching newcomers to the sport who had no previous knowledge or experience and see them evolve and their progression. It’s very rewarding watching someone go from a novice to an experienced skydiver and know that I was involved in their accomplishments. 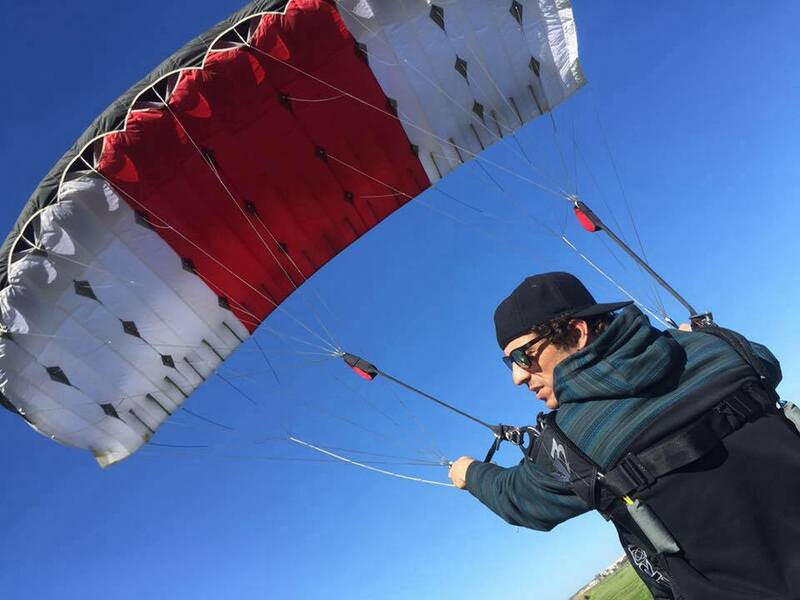 What do you do outside of skydiving? I share my life with my 3 children and my beautiful wife Nilza therefore outside of work/ skydiving I enjoy spending my free time with them. We are lucky to live in a beautiful corner of the world therefore we don’t have to go far from our doorstep to reach the beautiful beaches which are of course the perfect playground for family time. My other interests (when time permits) are martial arts and rock climbing. 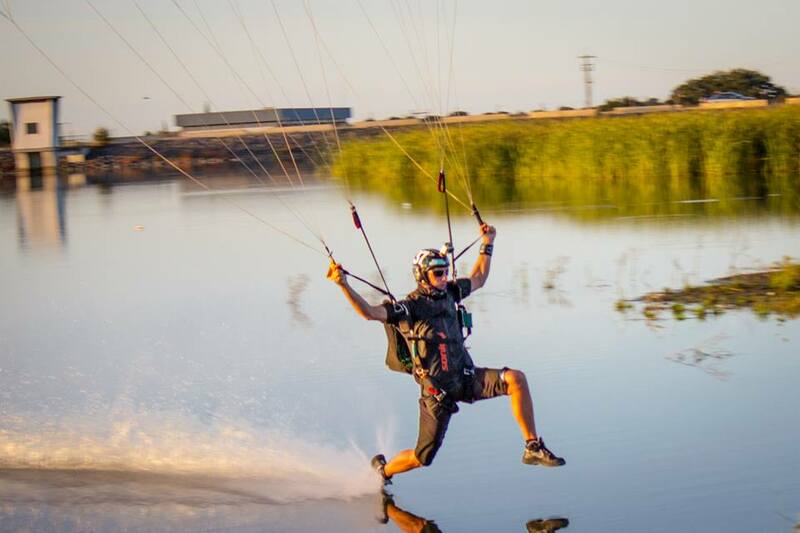 What makes SA such a special dropzone for tandems and students? What makes this dropzone so special for the tandems and students, in my eyes, is the amazing team that we have, who always go the extra mile to provide the very best service and experience to each and every one of them. Of course the location and it’s surrounding beauty also makes this dropzone very special- and as far as I’m concerned the very best place to jump in Europe. 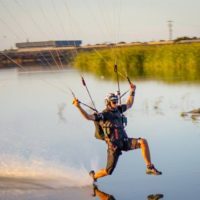 The fleet of planes and the latest, modern equipment and efficiency of the operation also come high up on the list of positives for this amazing dropzone. Try to describe skydiving to a non skydiver…. “You have to do it.” There are no words for it. I’ve spent 15 years in the sport and there is no way to describe it- you just HAVE to try it. What’s something you’re proud of in your skydiving career? In short I am proud of myself for fulfilling my dream: Jump to live! In more recent years my goal was to develop a project for Canopy Piloting Courses, with the aim of increasing the safety of every skydiver. I have achieved this goal and even exceeded my expectations. 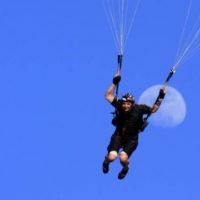 Skydive Algarve have supported me in this and in the last few years I have spread my knowledge and expert advise to 200 new students per year. Due to this success I have been recognised as a UPT athlete and an Icarus athlete.